I am absolutely that Mum. The one who can’t cope with the daycare drop-off. My kid cries. I cry. So many tears. There has got to be a better way. My little guy is turning four in a matter of days. This means one thing: Kindy is coming. And fast. I already know how it’s going to go. I’ll take him in and do the whole bag on the shelf, kiss, cuddle, goodbye. Then he’ll stand at the door and cry his little eyes out, begging for me to please not leave him. I’ll walk out an emotional wreck while both our hearts break a little. With kindy around the corner, the dreaded kinder drop-off is about to be a much more regular event, so we’re going to need a good plan of action. But how? Where to start? I’ve always been the kind of person who wears my heart on my sleeve and my little man is shaping up the same way. The teachers are going to love us. 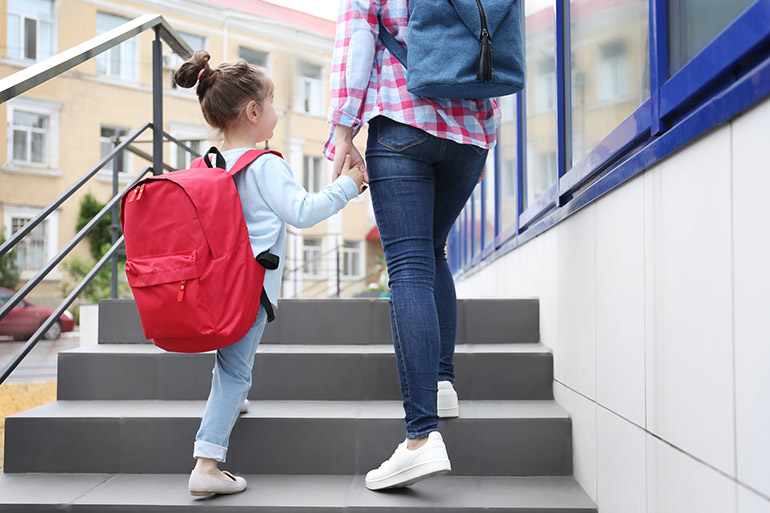 Luckily for us, we asked pre-school teacher Jennifer Mudgway for some tips and advice to help us manage this tough kinder drop-off time. Jennifer also suggests that you get involved. Play with your child, explore the activities and show them how much fun they can have while they’re there. Learn the names of some of their kinder friends. This means you can talk about them at home and remind them of the friends who will be there waiting to play with them. During your visits, there is usually one teacher who spends the most time with you and your child. This is much less scary than suddenly throwing them in a room with a sea of unfamiliar faces. It also gives you both a point of contact and helps to develop a relationship with one person who your little one can trust. While kinder drop-off will still be hard, at least you can reassure yourself somewhat with the knowledge that there is an adult around who they know and who makes them feel safe. 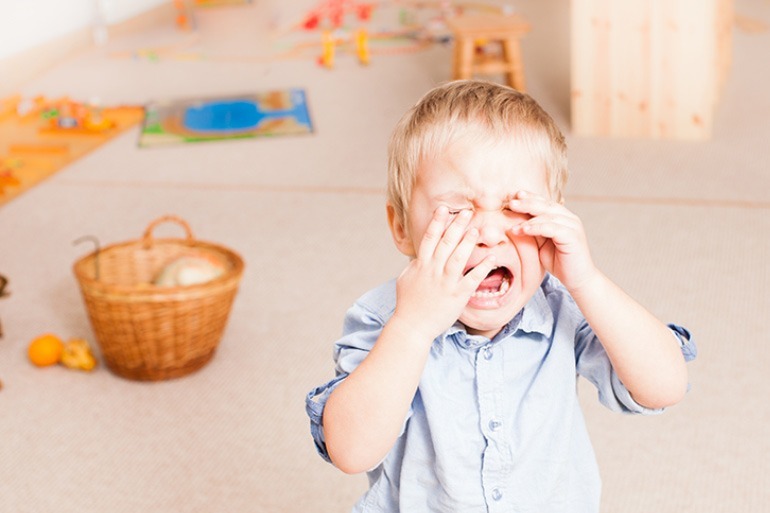 Jennifer says there’s one big thing mums and dads can do to help quell the tears at kinder drop-off time. “Once you are ready to drop and leave rather than just visit, be clear with your child that this is what is going to happen,” she says. It may seem harsh, but ripping off the band aid is the best way to do it. If you hang around when they cry, they will continue to cry every time as they are learning that it will make you stay. They are also likely to cling to you while you’re there, leaving them less time to have fun, settle in and make friends on their own. They are going to cry when you leave. Whether it is now, in 10 minutes or half an hour. Generally, most kids recover quickly after. They’ll settle down, drop-off is forgotten and they go on to have a great time. It’s the parents and carers who are left with the tears and the guilt! Little ratbags. Rest assured, if there are any problems, the preschool will call you. No news is good news. 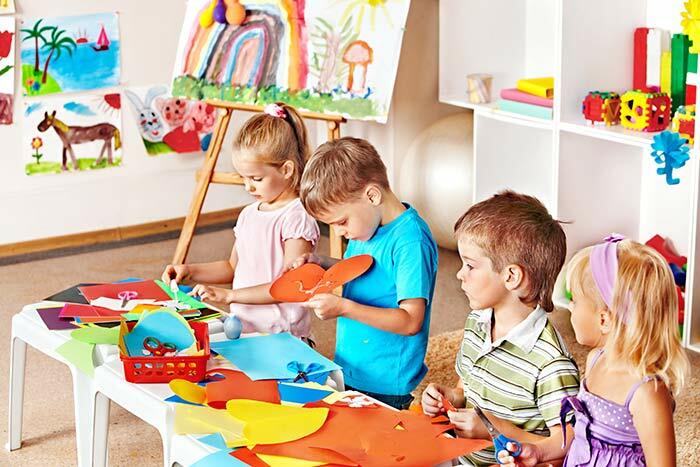 Doing something to pass the time will also help you deal with the next part of your day; the tears and guilt of the preschool drop-off are over, now you get to sit and worry about whether they’re ok and what they’re up to! But guess what… the best part of kinder drop-off? You get to pick them up. You get to join in their excitement when they see you and ask them all about their day. We can do it mamas. And if we feel like we can’t? That’s fine too. Call the kindy, check on your kid throughout the day. Do whatever you need to do to feel better. We’ve got this, so have our little people and we’ll all get through it together. One day at a time. Are your kids starting school soon? Going back? Check out this list of things to do before they go!